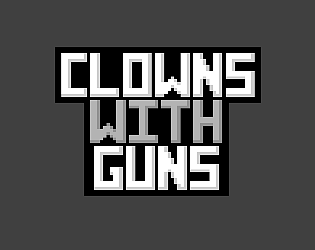 It's like the creepy clowns, but with guns. Dang this takes me back to Summer of 2016. All those clown scares, running rampant across the world. I'd like to think this game takes place in a parallel universe when the clown stuff never "died down" but instead became the new world order. Who rules this world you ask?... 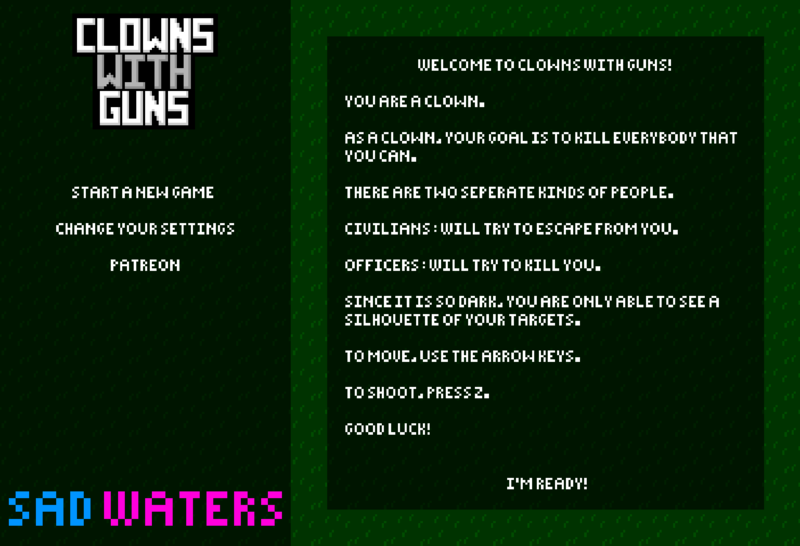 Clowns with guns! The mechanics, art and sound all work well together. 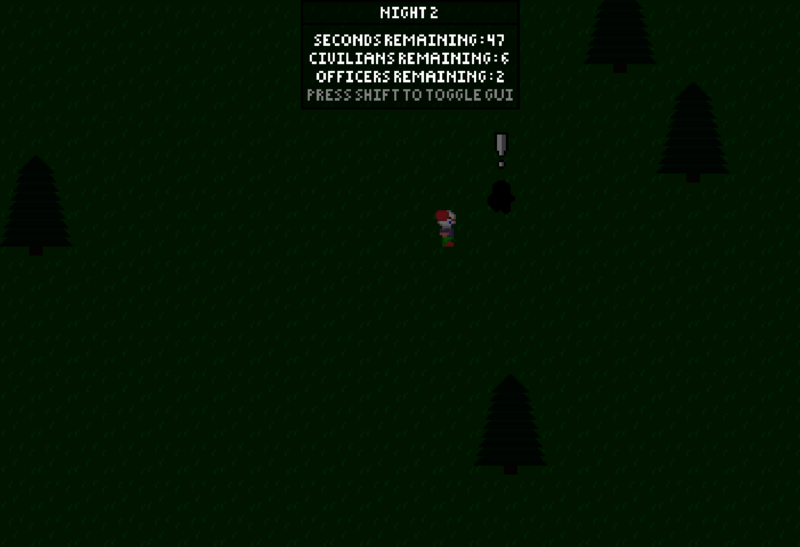 I also like details like how the cop AI avoids heading towards you in a straight line so they're harder to hit. I didn't realize that I was shooting anything and kept dying trying to get close to a cop, to stab him because I thought I had a knife. This was fun to play and I thought the darkness was okay, just the bullet needs to be a bit brighter I think. 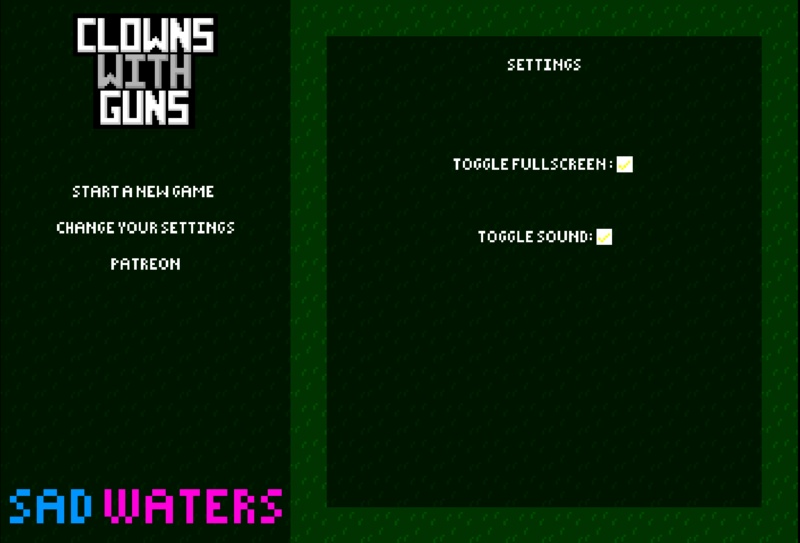 However everyone's screen is different. Nice work. 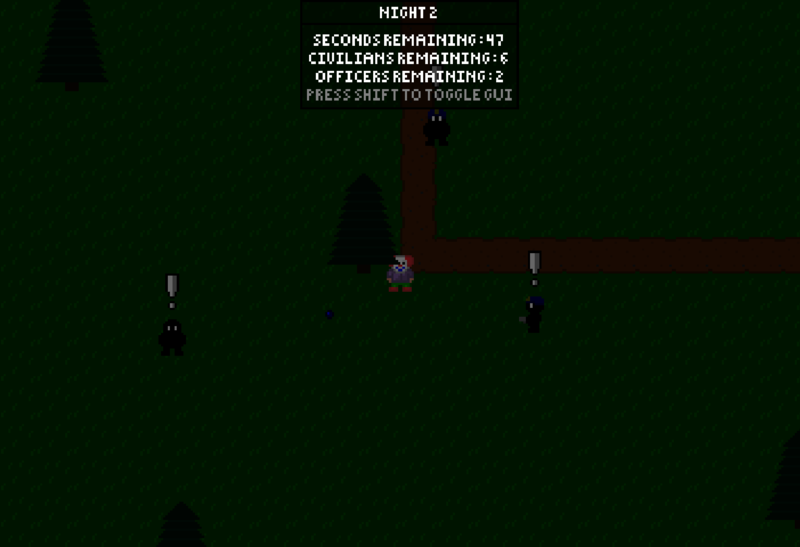 Nice ominous music, really added to the spooky ambiance of the game. 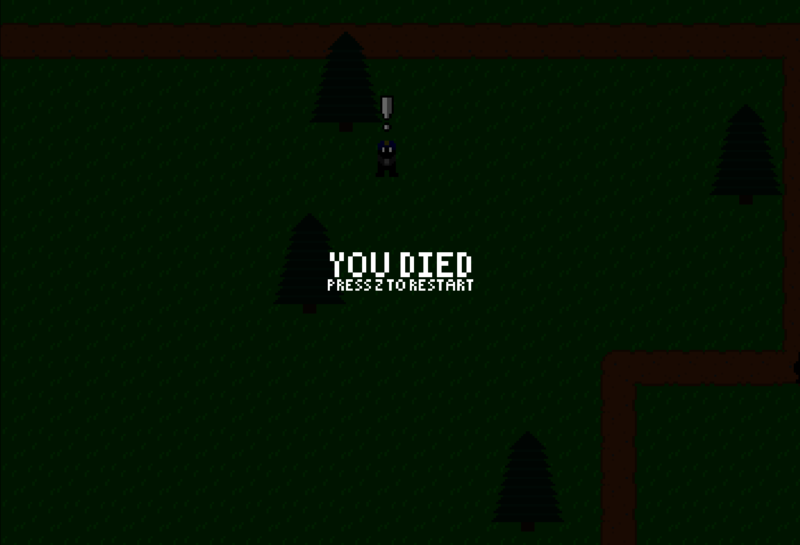 Liked that the shooting mechanic forced you to stop moving and commit to the shot, added a level of difficulty to the game. Nice art direction, good replayability and creepy mood hahaha, a well made game!